Chakra colors are typically broken down into seven and follow the order of the colors of the rainbow. 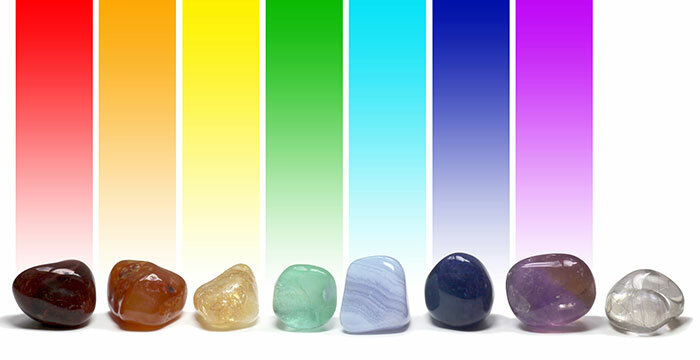 Let’s look at the chakra colors in order, from red to purple and white, and explore their meanings and attributes when used with chakra healing techniques and healing stones. Each color reflects a type of vibration or frequency radiating through the chakras. 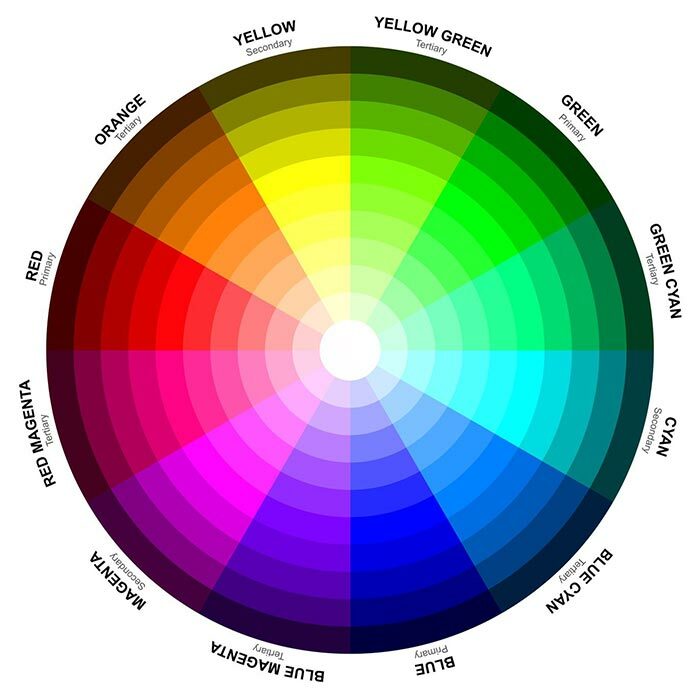 This classic color chart is based on yogic traditions, as well as contemporary healing schools of thought. 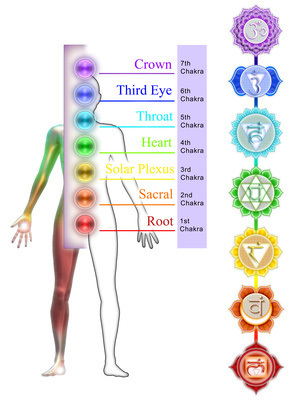 Although the exact color of each energy center may vary, there is a general agreement about a rainbow-colored representation of the chakra system. 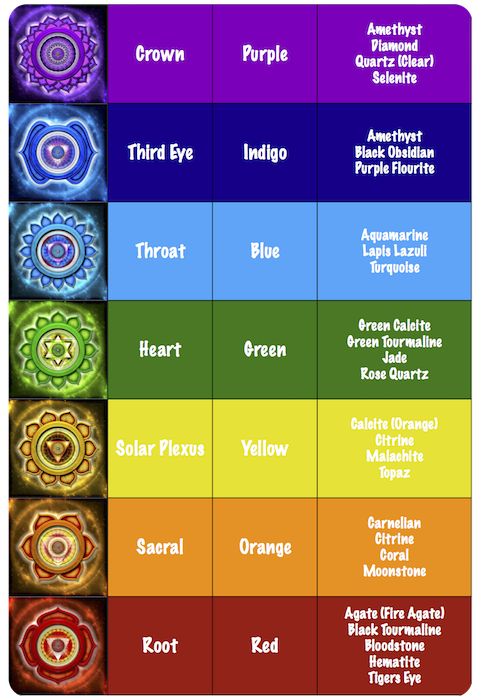 What do chakra colors mean? Meaning of the red chakra color: Red is the color of the root chakra (first chakra); it symbolizes safety, survival, grounding, nourishment from the Earth energy. Note that in chakra healing practices, red may denote inflammation at the physical level. Meaning of the orange chakra color: Orange is the color of the sacral chakra (second chakra); it carries meanings associated with emotions, creativity, sexuality, and is associated with water, flow. Meaning of the yellow chakra color: is the color of the solar plexus chakra (third chakra); it symbolizes mental activities, intellect, personal power, will. Meaning of the green chakra color: Green is the color of the heart chakra (fourth chakra); it is connected with love, relating, integration, compassion. Meaning of the blue chakra color: Blue is the color of the throat chakra (fifth chakra); it symbolizes self expression, expression of truth, creative expression, communication, perfect form and patterns. Meaning of the purple chakra color (or deep indigo blue): Purple (or deep indigo blue) is the color of the third eye chakra (sixth chakra); it evokes intuition, extrasensory perception, inner wisdom. Meaning of the white chakra color (or purple): White is the color of the crown chakra (seventh chakra); it’s associated with the universal, connection with spirituality, consciousness. You can look at symbolic associations and the chakra system chart to determine the meaning of a specific color. Yet, the color of someone’s energy field is likely associated with the activity of one or several chakras. 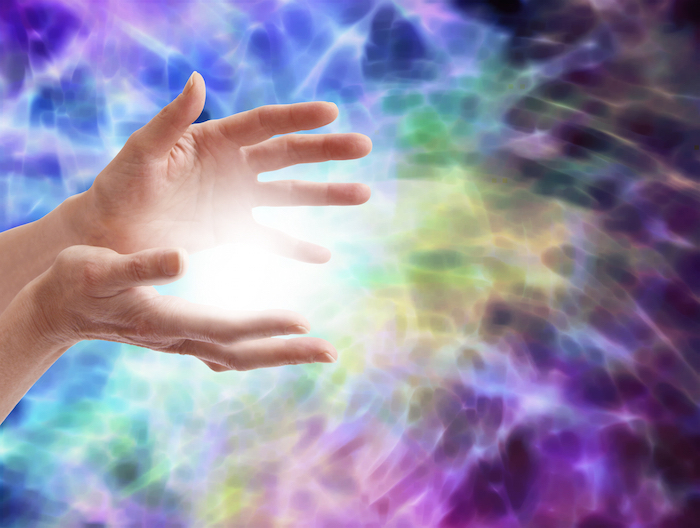 When paying attention to the auric field, it’s important to remember that colors do not necessarily have a definite, set meaning, but rather reflect the activity of the energy centers and their frequency or vibration. For example, seeing purple around someone’s upper body while they are describing their calling in life might be due to a strong emphasis coming from their third eye chakra, an energy center we commonly rely on when we envision our purpose or use our intuition. Similarly, if you see flashes or a haze of pink around someone’s upper body, the heart might be involved and contributing to coloring the auric field. The aura can be seen as the electromagnetic field that surrounds the body. Its colors reflect the energy flowing through the chakras and can be correlated to the state of the various bodily functions, as well as emotions and other psycho-spiritual elements. Even though the chakras are typically represented with specific colors, they may appear with different tints and shades in the auric field depending on the situation and the individual. Healing traditions provide a rich palette of colors when depicting energy centers in the human body. For instance, even though heart energy may generally be depicted as green, it sometimes radiates in shades of pink when one feels into strong emotional qualities of love and compassion. Red, which is generally associated with the root chakra, can be colored differently depending on the strength and quality of the energy in this center. It could for example go from deep burgundy red to a lighter orange red. In pairing a gemstone with an energy center, you can match the stone color with its corresponding chakra to increase coherence and add power to the stone. For example, green and pink stones tend to harmonize with the heart. Note that some gemstones have healing properties pertaining to more than one energy center. Even though stone color matters, your personal connection to the gemstone and how it resonates with you contribute to increasing its power. Your favorite healing crystal is a tool you can use to focus healing energy to a specific area of the body. 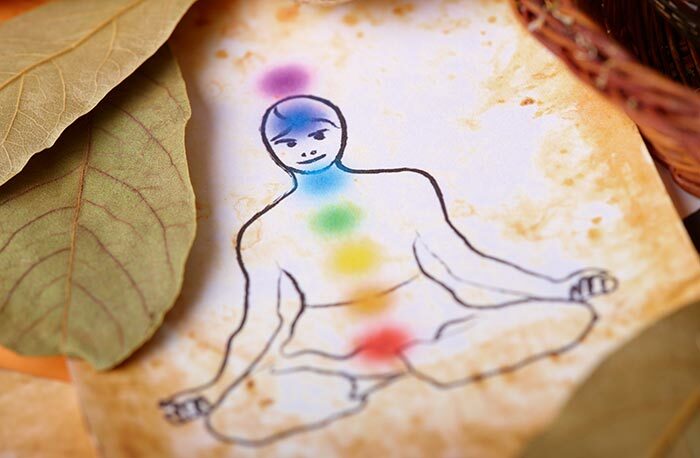 Even though the traditional representation of the chakra system revolves around a breakdown of 7 energy centers, there are occasional references in energy healing practices to upper centers of energy resulting in a 9 chakra or 12 chakra system. The 8th and 9th chakras rely on higher frequencies and levels or energy that becomes more and more subtle. Working with colors is a great way to balance the chakras. At the most obvious level, one can match a color with its associated with the energy center to support or activate its flow. For example, you may use red to stimulate root chakra energy and support grounding and overall vitality; orange to target the second energy center; yellow for the third, etc. While matching colors can be a useful approach to stimulate the function of a specific chakra, one could also apply colors across the body in order to target different bodily functions and energy centers. 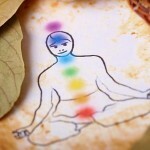 The traditional chakra system distinguishes 7 main colors associated with each energy center. Yet, healing with colors opens up a whole new range of options. 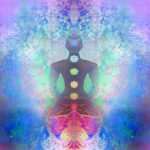 It allows us to shift from a static representation of the chakra system to a dynamic interplay of tints we can use to better support the energy flow in the body. Finally, color therapy provides additional resources to stimulate a desired emotional or physiological response during a meditation on the chakras, in your living environment, or healing work. What is the blue chakra? The blue chakra is typically associated with the fifth chakra, the energy center located in the throat area. In Sanskrit, it is also called Vishuddha. What is the red chakra? The red chakra is associated with the first chakra, the energy center located at the base of the spine. It is also referred to as the root chakra and its original name in Sanskrit is Muladhara. Primarily associated with instincts and the physical realms of our existence, the red chakra function can be seen as dealing with survival, insuring subsistence, feeling safe, being grounded, to name a few. What are the chakra color meanings? There are 7 colors associated with the traditional chakra system. Each of them reflects the frequency or vibrational quality of light of the energy centers. For example, red corresponds to the first or root chakra; orange to the second or sacral chakra; yellow to the third or solar plexus chakra, etc. In addition, the colors may symbolize certain physical or emotional qualities reflected through flow of energy in the body. For example, seeing pink in the heart chakra area may mean that the person you’re looking at is experiencing strong feelings of love or compassion; seeing a blue halo around someone’s throat may mean that they are about to express their truth or something important to them. A few chakra colors may purely be related to physical and energetic manifestations in the human body. The most notable is red that sometimes mean that there’s inflammation. Dark grey spots might indicate a strong deficiency or disturbance in the energy field. 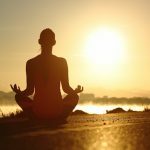 Want Healthier and Happier Chakras? When properly balanced each of your 7 Chakras work together to create an optimal life. If you are like most of us your energetic ecosystem could use some help. Take this 2-minute chakra test to know which of your chakras may be the weakest. 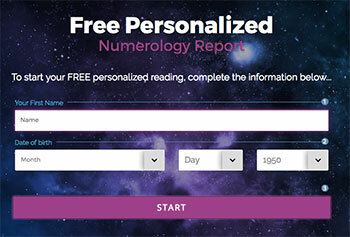 Take The Chakra Test Now! Does anyone see rainbows with their eyes shut? Even at night, in a dark room with eyes closed? 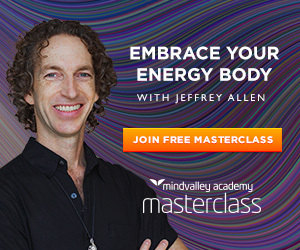 I just began experiencing it after listening to a powerful binaural track for balancing chakras and when it got to the crown chakra that was when I began seeing them during meditation. I see them all the time now if I close my eyes. I also wonder what it means? Yes, keep working with your intuition and clear out all your chakras starting from the first one. That’s what I did. I see certain colors associated with certain chakras while meditating. Just know that you’re on the right path. I have always felt there is something more to my exhistance and I find myself very fond to yoga, although I have never taken part in it. I have a keen interest and always wish to learn and someday teach it to others. I just have that feeling that I need to get in touch withmy inner self and learn the gift of healing, so I have started a course in Massaging, because I know it is a way of healing. Im being awaken to what i know is my abilities to heal an to give love when its needed. Im now embracing this gift that i felt at one time it’s taboo. It’s my calling from God. Jesus it’s opening this gift to full bliss to share my world.my spirit is joyfully the way I should of been along time ago. I’m so, happy.the real Yolanda is here to stay an to help my brothers an sisters. I’m so thankful and gratefully overjoyed in the name of Jesus for all he so and give. I want to share. In my dream last night I was “told” “The chakra colors are wrong”. I don’t know if they meant my chakras are wrong, in the wrong place, or what. Does anyone have any thoughts on this? Also I was told to “wake up”. Yes coming from Pentecostal prophetic studying the colors are different in spirituality than the chakura system. I recently time traveled in a dream I felt I wan not in control of and had the urge to wake up. You are rooted in Christ and your discernment will never be off just go with the greater instinct.